TomTasche - I'm a Javaianer: Living on a Chromebook: Beam me to the USA! Living on a Chromebook: Beam me to the USA! You probably know that I'm a developer at night, but during the day I'm (besides being a developer too) someone who's spending a lot of time at the computer, browsing the web, reading news, listening to music, watching movies, playing games, ... Unfortunately, most of the really cool stuff, like (legal) streaming of the latest episodes of my favorite TV show isn't possible in most countries (I'm talking about you, Austria!). Fortunately, it is indeed possible... in the U.S. If you look at your globus you might notice that Austria is by no means near to U.S. So, no futuristic content streaming for me, right? Wrong! There's a technology, called VPN, not really meant for bypassing stupid license restrictions, but it does the trick anyway. How? It tunnels all your connections to websites through another server. In our case, "another server" is a server sitting in the U.S., waiting for us to stream our favorite TV show, purchase music in the Android Market and calling friends using Google Voice. You can read more about this technology at Wikipedia, but the only thing that really matters is, that websites (like Hulu and Google) think you're located in the U.S. when you're using an according VPN. There are some more benefits listed here under "Benefits of using a VPN". Order whatever package (one month, one year, ...) you want and wait a few hours until they send you an e-mail with instructions on how to set up HMA! For me, I got the mail after 12 hours. HMA! said it sometimes takes 24 hours to complete your purchase... Be patient. It's worth the wait. Go here, sign in using your username and password. Click "PPTP servers" on the left, or use this link. You can find your credentials under "Login details". Write down your username and password. Click "Private networks" - "Add private network..."
"Server hostname": fill in the "PPTP IP address" you have written down before. This is the IP address of a server maintained by HMA! "Service name": is any string, describing the connection for you, for example "HMA! US VPN"
"Provider type": is by default "L2TP/IPsec + Pre-shared key". That's fine. "Pre-shared key": fill in "HideMyAss"
You're now ready to test your VPN. Let's start with something simple: www.google.com. It works? Great! Move on to www.hulu.com and enjoy. If visiting Google doesn't work ("This webpage is not available") try disconnecting from your VPN and connecting again. If that doesn't work either, reboot your Chromebook and connect to your VPN again (using the Connection icon - "Private networks..." - "HMA! US VPN", or whatever you have called it before). I hope these steps helped you get your VPN up and running and consume some U.S.-only content. If you have any problems setting it up, feel free to ask me in the comments and I'll try to help you. That's near native speed! Holy crap. 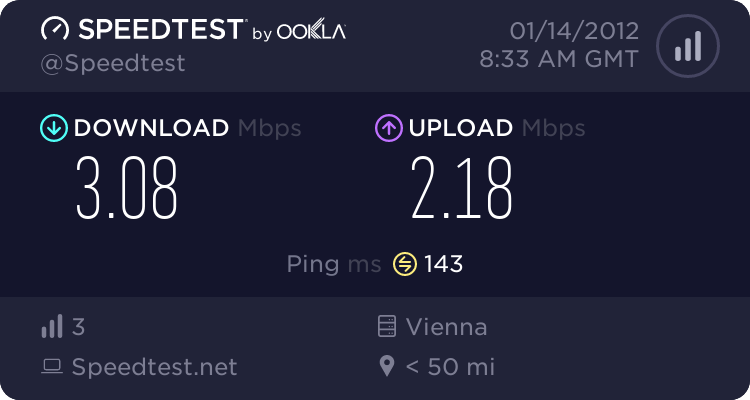 However, keep in mind that 1. your results could vary depending on your connection and selected server and 2. if, for example, I visited a website located in Austria, it would load slower than without a VPN. A workaround for now is opening a terminal (Ctrl+Alt+T) and starting an endless ping using ping google.com. This seems to work fine for me. Thanks man.I'm getting a new chromebook too. 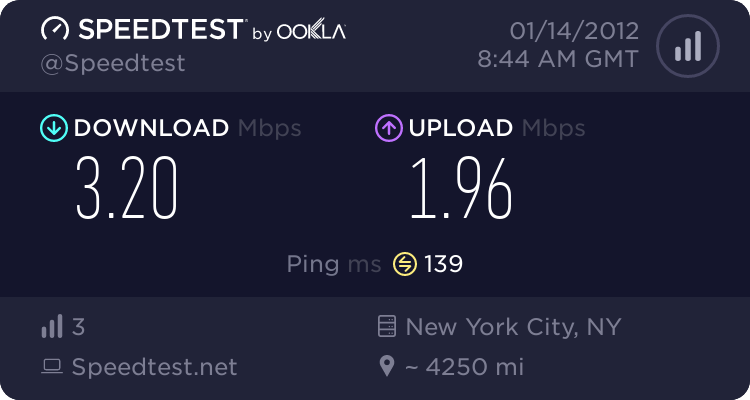 And I need to access Netflix and Hulu from outside the U.S. My only question is, how stable is the connection for you?